The Weinberg College of Arts and Sciences is the oldest, largest, and most comprehensive of Northwestern University’s 12 schools. 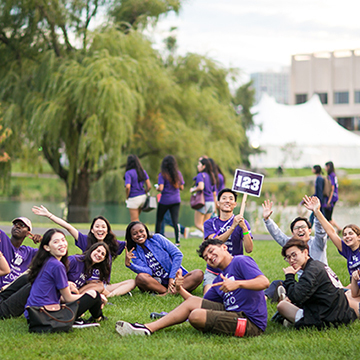 The College educates all Northwestern undergraduates, and its multidisciplinary depth and breadth create the intellectual foundation for the University’s world-renowned graduate and professional programs. Writing proficiency—may be fulfilled in a variety of ways by graduation. Foreign language proficiency—the equivalent of two years of college instruction. First-year seminars—two seminars, one in the fall quarter and another in the winter or spring quarter. Distribution requirements—two courses in each of six areas: natural sciences; formal studies (e.g., math, logic); social and behavioral sciences; historical studies; ethics and values (e.g., philosophy, religion); literature and fine arts. At least one major chosen from over 45 disciplinary and interdisciplinary options. More than 30 percent of our students complete a double major. In a given quarter, between 70 and 80 percent of our classes have 20 students or fewer. You will live, work, and play—and launch yourself into discoveries and adventures—on a beautiful lakeshore campus, in a stimulating college town, near one of the country’s great cities. Founded 1851, Northwestern's College of Arts and Sciences has been educating undergraduates since its inaugural class of 10 met in 1855. 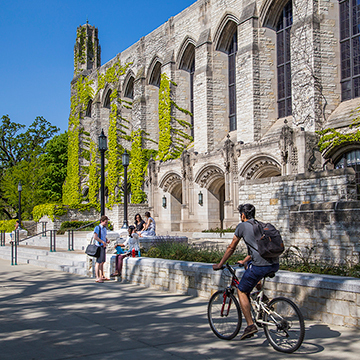 Today, the College enrolls more than half of all Northwestern undergraduates. It's led by Dean Adrian Randolph, who joined the College in 2015.